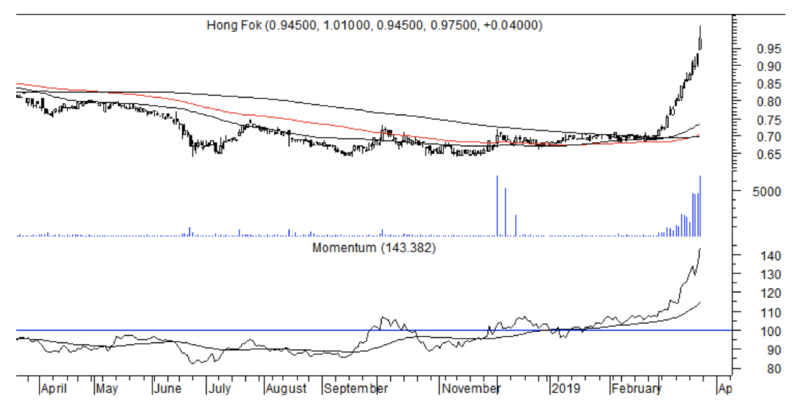 SINGAPORE (Mar 23): Although quarterly momentum appears ambivalent as it is consolidating beneath its own moving average, prices are intact. 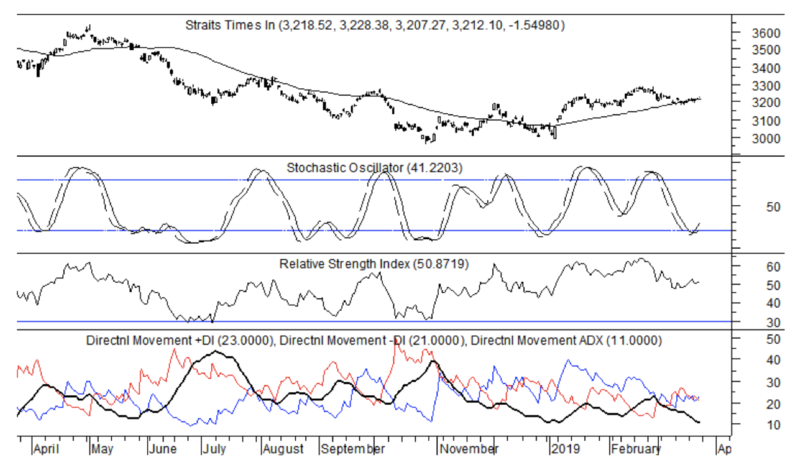 They have established support at the confluence of the 50- and 200-day moving averages which are moving into an increasingly positive stance at 3,217 and 3,186 respectively. 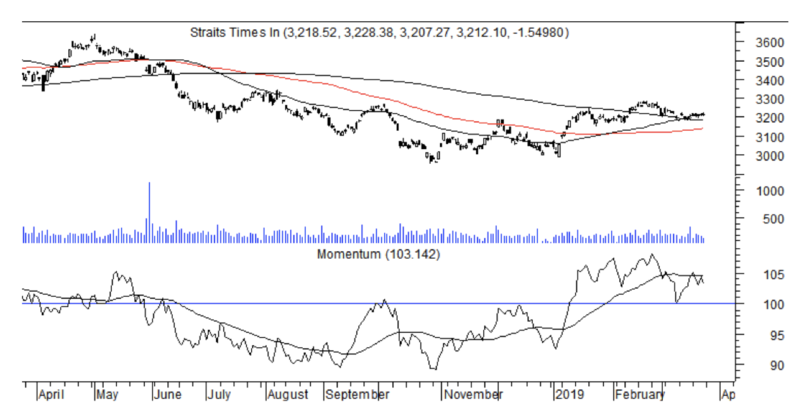 The index may well be able to regain its 50-day moving average as short term stochastics is turning up from the bottom of its range. Since medium term indicators are neutral and drifting sideways, short term indicators could keep the STI afloat. However the range is likely to be narrow between 3,190 and 3,286. Support is at the breakout level of 3,190. The break above 3,190 indicates a target for 3,420, and this remains valid for the time being. Only a break below 3,190 indicates the upside is no longer valid. The large shadow on top and small body near the low on the candlestick chart suggests that selling pressure is likely to build. This could turn into a potential shooting star. If prices all below 94.5 cents on Monday, Mar 25, an evening star could form. Prices would need to stay above $1.01 to negate this scenario. In addition, ADX at 59, and 21-day RSI at 85.5 are at historic, overstretched highs. Prices are likely to consolidate In the immediate term as quarterly momentum has turned down from a 2-year high. The upmove is likely to resume its uptrend as the chart pattern remains intact. 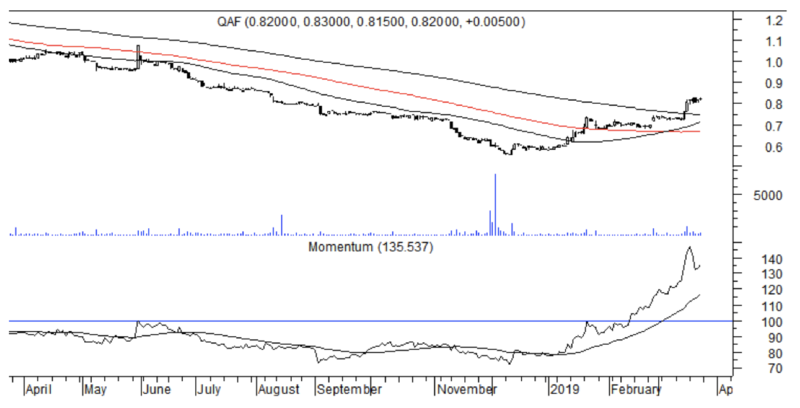 Prices broke out of a resistance and the 200-day moving average at 75 cents accompanied by volume expansion in mid-Mar. The breakout indicates a target of 95-96 cents.Prices had been in a two year downtrend, bottoming late last year at 56 cents. Any retreat should be supported at 75 cents below which the upside is no longer valid.